There's a long, long list of potential candidates vying for the richest prize in the company. Ever since the second brand split in 2016, Smackdown Live has been the home of mega-matches, intriguing characters, and the longest-tenured championship in WWE. Greats like Hulk Hogan, Bret Hart, Shawn Michaels, The Rock, John Cena, and now AJ Styles have had incredible reigns with the championship. Recently, Styles has committed his career to defending the title globally in the "house" that he built: Smackdown. Contenders like Shinsuke Nakamura and Samoa Joe have come very close to capturing the title from The Phenomenal One, but as 2018 turns to 2019, there are many superstars still chasing the elusive yet richest championship. Bryan's return to pro wrestling this year started with ridding Smackdown of Kevin Owens and Sami Zayn, conquering the now-released Big Cass, and engaging in another chapter of his long rivalry with The Miz. After defeating Miz at WWE Super Show-Down for a championship opportunity, the "Goat" now has his eyes set on the title he once held and has already gone toe to toe with the incumbent champion two days after Wrestlemania 34. It will be an interesting sight if WWE higher-ups give Bryan the go-ahead to cap off his return year with a championship win. Smackdown's resident monster mauled his way to the top of the show when he attacked longtime friend/adversary AJ Styles that led to three impressive matches at the end of the summer and beginning of fall. However, Joe has failed to capture the title due to disqualification and controversial calls by referees. Styles' anger got the better of him in their Summerslam encounter, but if Joe is given one more chance against Styles (or decides to go after Bryan if he wins at Crown Jewel), it is certain that the "Samoan Submission Machine" will be a "Champion Submission Machine." 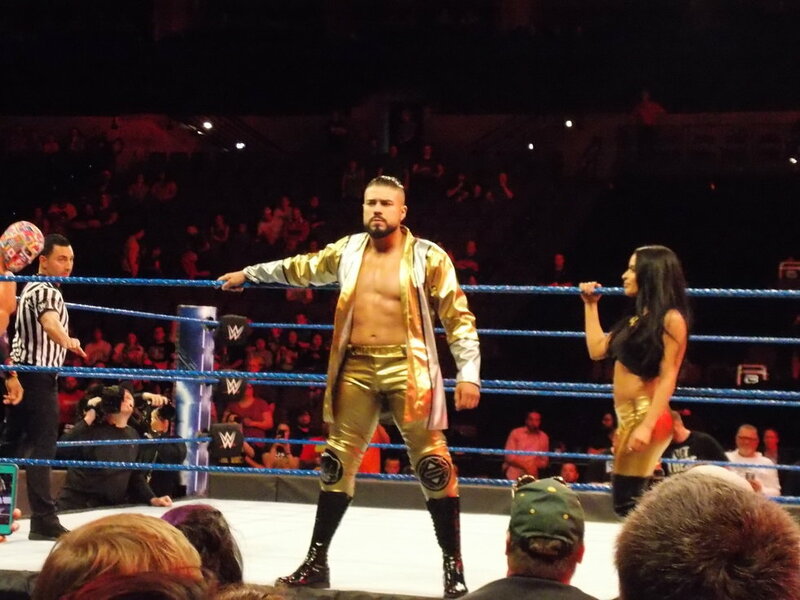 The newest NXT call-up reportedly has strong support from Chairman Vince McMahon, so Almas is sure to have a main event push coming very soon. His resume in NXT included fantastic matches with Johnny Gargano and Aleister Black for the NXT Championship, and his high in-ring IQ and savvy persona add to his character that is needed for a brand based on match quality and realistic storytelling. Imagine Almas being the Number 1 entrant in the Royal Rumble, lasting over an hour before winning a shot at the title of his choosing at Wrestlemania. An Almas/Bryan or even Almas/Joe title match would be quite a match due to the difference of styles. The Apex Predator returned this summer as his former, sadistic self. Unleashing attacks on Jeff Hardy and now Tye Dillinger that has left them wincing in pain, Orton's return can definitely pay off in the near months with another WWE Title reign. His lackluster win at Wrestlemania 33 from Bray Wyatt and subsequent loss of it to Jinder Mahal can be redeemed with another heel Orton reign. His veteran status can elevate a fresh, young talent to the title picture as long as Orton is willing to do so. Either way, Orton can easily enter the main event talk for the title at any given point. Another WWE veteran, Miz has had many ups and downs regarding the main event picture. His stunning win over Orton in 2010 for the title via his Money In the Bank briefcase caught many by surprise. However, the last few years has seen him capture the Intercontinental Championship a few times and be second in most reigns with it behind nine-time champion Chris Jericho. His mic skills are on point and easily makes him the best talker in WWE right now, yet his continued rivalry with Daniel Bryan could reach main event status if Bryan wins the title before him. A Wrestlemania bout for the title in 2019 would definitely please the fans, and Miz's heel persona would have the perfect chance to redeem his 2011 title run with a second WWE Title reign. 2017 and 2018 were quite rewarding for Hardy: returning to WWE with brother Matt at WM 33, winning the tag team titles, returning from injury after Wrestlemania 34 and winning the US Title. His 2008-09 reign with the WWE Title was cut short, yes, but his continued ability to take high risks and put on a great show levels him with a chance to put his name out in the main event talk. Although some reports say he's dealing with numbness in certain parts, a potential final title reign before retiring needs to be the WWE Championship. WWE's resident luchador legend officially makes his return on October 16 for Smackdown's 1000th episode, so why not make an early prediction for his 2019? A wild card pick, he defied all the odds back in 2006 by lasting over an hour in the Royal Rumble and winning the World Heavyweight Championship from Kurt Angle at that year's Wrestlemania. He can definitely do something similar, this time with the WWE Title in his sights. His very, very, very short reign of like, 1 hour, back in 2011 can easily be forgotten with a major run at and with the richest prize in the game. He's in great shape, has amazing in-ring abilities, and his history with the company can pay off once again for the title. It will be interesting to see if all or any of these seven superstars hold the title by this time next year.